About 4 months ago, Bram made his debut with a YouTube Channel where you can find interesting videos on different insights on the industry and some of this life experiences. It’s quite lovely to follow along, definitely give it a watch. 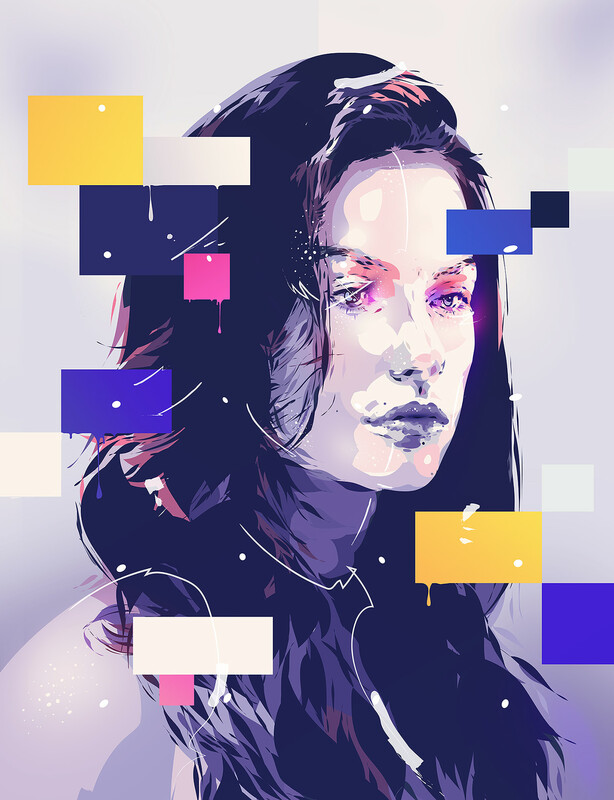 For today’s feature, Bram is sharing his process on making new digital art, hope you will enjoy! Wonder how I create a new portrait? How I exactly work? Today I'm really excited to share precisely how I create new work and show you my process. Starting with an idea, a hyper time-lapse shot - to give you a glimpse on all the magic that happens in Illustrator & some insights how I pick my photographic material. I love mixing photography and Photoshop to create incredible light effects. If you follow the blog since the beginning you probably already know that. A few weeks ago we posted a super cool poster created by Flavio Montiel. Today we share another great work from this talented art director, digital artist and illustrator from Brazil.